Bovis Homes is looking to extend its successful apprentice scheme into Exeter as part of the housebuilder's commitment to playing a part in the region's development and regeneration. The company has recently opened a new office in Exeter to support the growth of its operations in Devon and the rest of the south west, and offering employment opportunities to talented and committed young people is a key part of that. "Our South West region already has a thriving apprenticeship scheme which is operating productively across Gloucestershire and Bristol," said Deputy Managing Director of the South West (southern) region, David Farley. "We're delighted to give them a chance within our business and eventually we will be looking to recruit future managers and even directors as they develop within the company and continue to show the right attitude. "This is something I'm keen to develop in our new area of operations in Devon and surrounding counties and we will be looking to work with local training organisations to place young people in the business and give them that first leg up the career ladder." The onsite apprenticeships include opportunities within carpentry, bricklaying and plumbing, and there are also office-based administrative roles. As part of Bovis Homes' ongoing commitment to the scheme, an annual awards ceremony is held every year where the top performing young people receive prizes for their performance. 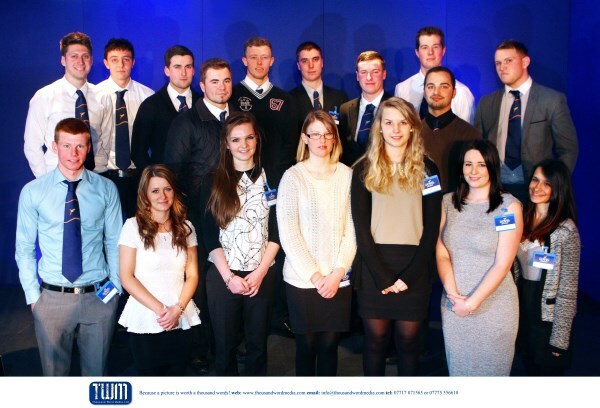 This year it was held at Cheltenham racecourse and saw both onsite and office-based apprentices recognised by an audience of staff and sub-contractors. David said: "The awards showcase the efforts of our apprenticeships and I hope in the future we will have young people from the Exeter area playing a full part in them and landing the top awards."